How do you burn calories fast? Your metabolism plays such a major role in not only helping us to lose weight but in reducing the chances of regaining that weight. Simply put, metabolism can be described as the process by which our bodies convert calories into units of energy. So if you have a metabolism which is decidedly slow, you end up burning fewer calories and consequently storing more of the dreaded fat within the body. 1. Does Drinking Water Speed up Your Metabolism? To burn calories fast you need your internal organs to work at maximum capacity. To achieve this they need to be well lubricated at all times, which means you need a constant intake of water. The general rule is to drink something in the region of 1.8 litres (64 fluid ounces) of water a day, but this really does depend of your body shape and/or level of activity. If you’re more overweight than average or you’re involved in an intensive physical exercise program then you are likely to need to drink more water. Do remember this is only a guide, so always go by what you feel your body is telling you. Just as too little water is a danger to the body, too much water can be toxic. Not partial to drinking plain water? Why not jazz it up a bit by adding slices of lemon, lime, cucumber or some mint leaves. You could also top up your regular fruit juice with a few extra ounces of water. Some people can last the whole day without eating, only to pig out on a huge meal at dinner time. 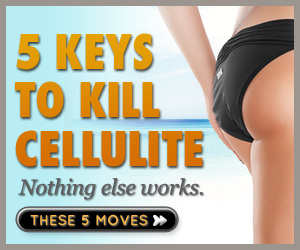 This really is not the best form of weight control. All that happens is your body begins to think there is a food shortage afoot and subsequently goes into starvation mode, whereby your body slows down on the burning of calories and starts to store fat instead. It’s a way of self-preservation from what your body thinks is the onset of a period of famine. By eating small nutrient-rich foods every 4-5 hours, you’ll boost your metabolism for burning fat at a much higher rate. Fat is involuntarily stored whenever you consume too much sugar. Your blood sugar levels suddenly raise, then fall. If this is a prolonged occurrence, the constant up and down motion becomes too erratic for the body to deal with. There is a high risk of your body building up a resistance to insulin. This ultimately makes it harder for your body to process sugar the way it should, resulting in more fat being stored. With a whole lot of determination on your part, you can gradually start to lessen your sugar intake by substituting the sugary snacks for more nutritious alternatives. Now may be a good time to add weight training to your exercise program. Why? Because lean muscle equates to a faster metabolism. The mere presence of extra body muscle requires additional energy in order to maintain that muscular frame. Extra energy means you burn calories fast. However, don’t just jump into pumping the metal if you haven’t done any weight training before. It’s best to seek medical or professional advice to ensure you’re going about your training in a safe way and avoiding any possibility of injury. And no this isn’t cheating, it’s helping! There are safe and natural supplements available on the market today which also contribute to speeding up your metabolism, helping to burn calories fast. Meratol is an example of such a supplement. It’s an all natural pill which helps to speed up your metabolism. It offers a safe and effective way to lose weight. As with all weight loss supplements, remember to consult your doctor in the first instance and only take these in conjunction with a healthy diet and exercise plan. So there you have it, just a few ways in which you can boost your metabolism on a consistent basis. It may take a bit of re-training to get you into a regular pattern initially, but think of the benefits of having a speedy metabolic rate on hand to burn fat at every turn. For more tips on how to burn calories fast get yourself a copy of “How to Boost Metabolism”. It’s FREE and packed with lots of highly practical information to help you achieve quicker weight loss and turn your body into a calorie burning machine.